Belated Happy New Year, it has been what feels like an eternity since I last posted on my blog. I kept wondering when I would be sitting on my laptop sharing my latest news, and now I am happy to say I can. 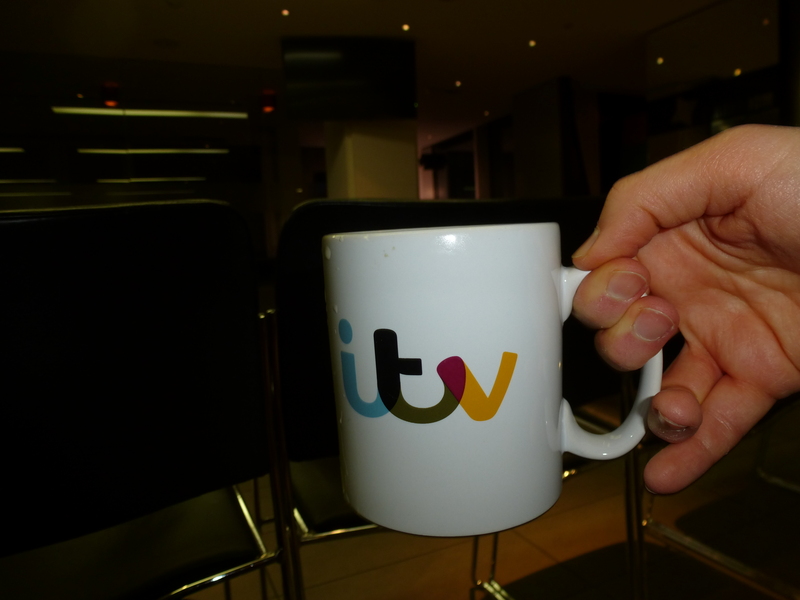 I had a fabtastic night in London where I had been at ITV Studios, my second visit there, and it really was fabtastic. 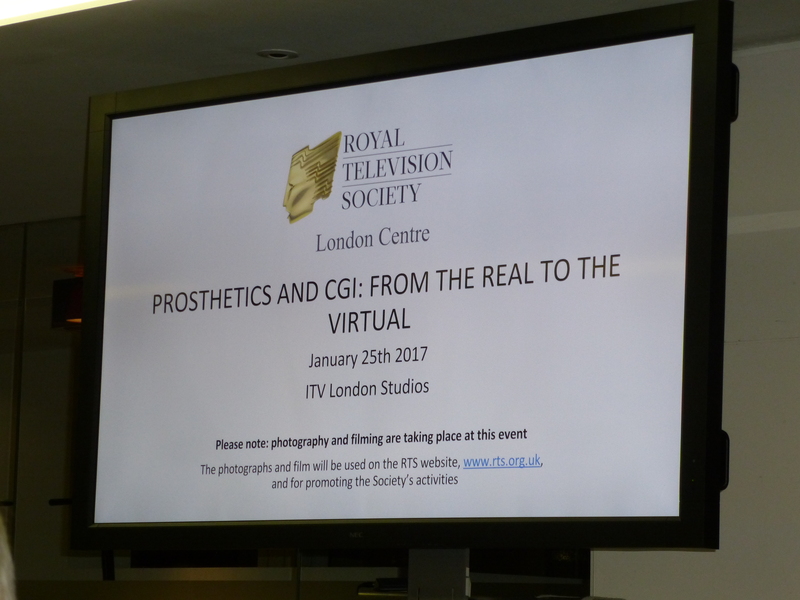 I was attending an event organized by the Royal Television Society looking at Prosthetics and CGI used in TV/ Film productions. I admit I got to ITV a lot earlier than I thought I was gonna initially arrive, though when I got there and checked in at reception the lady at the desk ask me if I was Lily. I guess Lily was someone who was to feature on a TV program or there for some media related broadcasting. Got chatting to a few people also at the event, passing on advice and tips to them, before sitting down with teas and coffees to hear from individuals who work within this field of the industry. The panel was chaired by Muki Kuhlan-Digital Executive Producer who has been involved in shows like The Voice UK creating VR experiences. Muki’s company has been responsible for running a digital production company; Muki-international, creating social content, videos, apps, websites, animation, gfx, streaming, record labels. 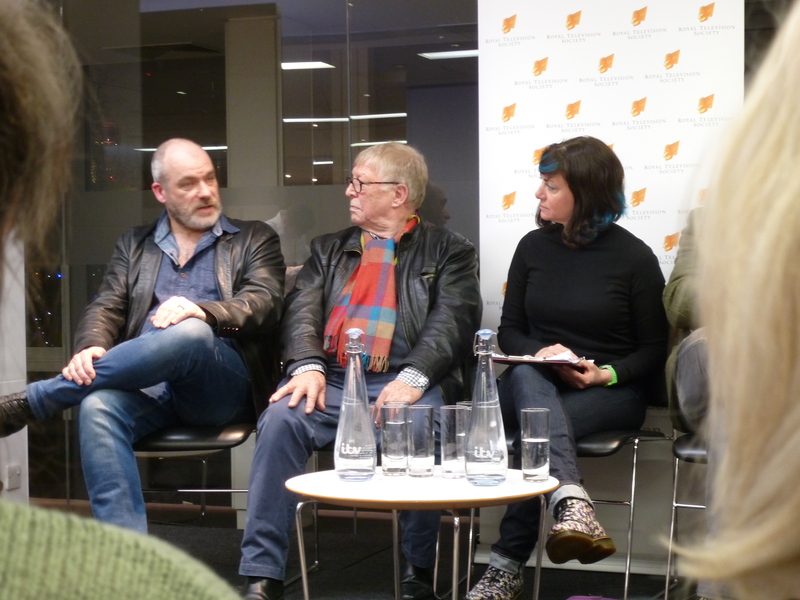 The guest speakers on the panel were Neill Gorton, Graeme Harper, Will Cohen and Gary Negus. Once Muki had introduced and welcomed everyone the event followed this sequence going from left to right each person was introduced a a showreel/ series of clips were shown of the different medias and projects ech person has worked on, then followed by each person talking about how they started in the industry, what its like working with prosthetics and CGI, actors, production, their views on the impact these elements have in media and how it has changed over the years. Neill is the the Director of Millennium FX and Gorton Studios, a visiting professor at University of Bolton. Neill has worked on a wide variety of TV and Films here are some just to name a few Doctor Who, Being Human, Silent Witness, Little Britain, Saving Private Ryan, Gladiator, From Hell and many more. Graeme started in the industry as an actor working on memorable shows and well known film; he worked on Doctor Who in the 1970s; was awesome to hear that he has worked with the likes of Jon Pertwee and Tom Baker before becoming a director/ producer and working on shows like Hollyoaks, The Bill, Casualty, House of Elliott. Will is head of CGI company and it was funny but not in a way that Will has collaborated with Neill and Graeme in these productions; I guess it is who not what you know and learning about what it is typically like to work on a project or an idea, being round a table and throwing ideas and suggestions on what a director or producer wants to show. Gary is the VP sales at Sohonet, I admit I have never heard of this company that provides high speed connectivity, telecommunications, workflow methods; accessing work from one computer from another in different locations. Primarily working in post production field enabling work to be shared to be a group of people whether your in the same or another country. The floor was opened up for questions and after that people started leaving in groups and I like some other people stayed to chat to the speakers. It was great chatting to Graeme and Neill and before saying bye to each of them I passed on one of my business cards whether I will hear from them in the future I don’t know. Neill said a lot of helpful tips and advice about getting into special effects, the best ways to get noticed and to avoid the as he called it Robin letter. I also got chatting to someone else who was there and I learned that she was originally from my home county! How cool is that. 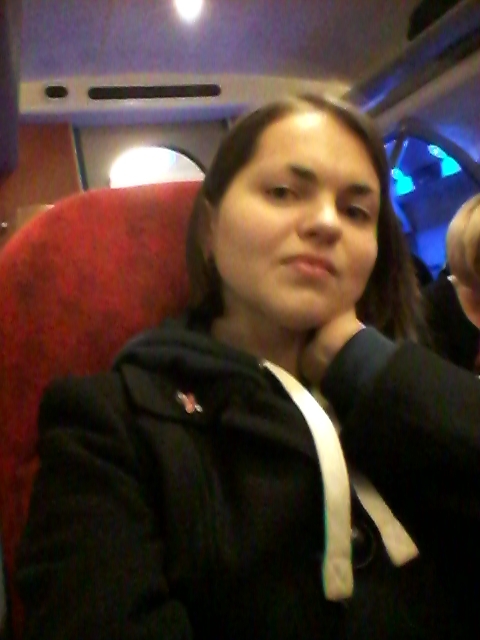 Getting back wasn’t as bad as I thought it would be it wasn’t late and there were no train delays which is never good when it is late at night, and whilst waiting on the train I decided to take a selfie. 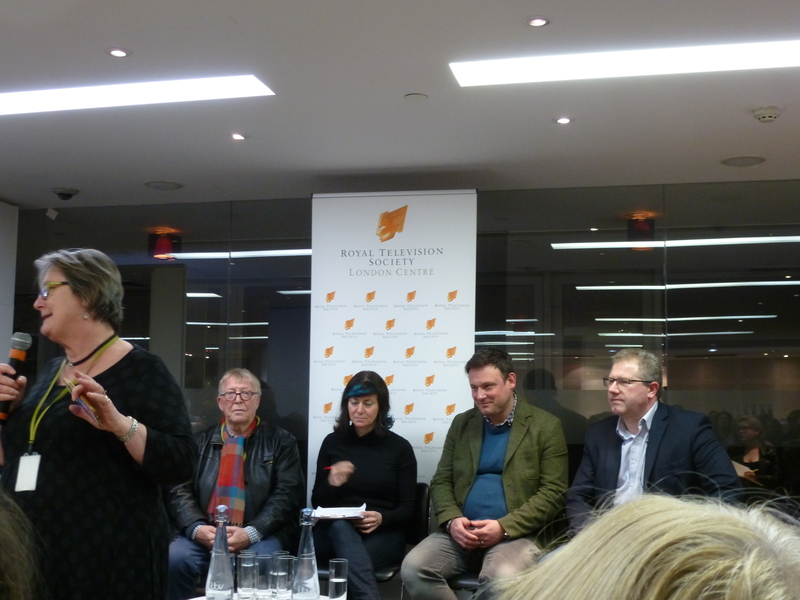 Looking forward to my next event with RTS which is going to be in March. But my next media activity is 15th Feb where I will be sharing a potential idea with media enthusiasts on creating a media platform. I’ve also been hearing about upcoming projects and waiting to see when they are going to be starting.